That Dusty did something about this unhappiness is one facet of Pure Country's enduring appeal: Who hasn't thought about disappearing for a while in order to figure out what matters most? In 1992, George Strait, AKA The King Of Country, starred in a soul-stirring country music-infused feature film that would become a sleeper cult hit despite initial poor reviews. 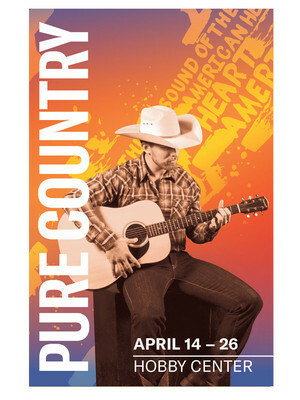 Pure Country, a story about a country music star that loses his connection with music and embarks on a journey of self discovery not only spawned Strait's best selling album, but continues to be aired on Country Music Television every week to ardent fans. Its chart-topping hits 'Heartland', 'Baby, Your Baby' and 'I Cross My Heart' return to the Lone Star State during the hotly anticipated world premiere of TUT's Pure Country musical adaptation in the spring of 2020. Country music's biggest star Dusty Wyatt Chandler is becoming disillusioned with the contractual obligations and overproduced stage shows that take away the heart and authenticity of his music. In an effort to find the spark he once felt for writing and performance, he walks away from the spotlight, cuts his ponytail off and heads back to his small country hometown where love and redemption await, even if his old manager is determined to keep milking the Dusty cash cow. Seen Pure Country? Loved it? Hated it? Sound good to you? 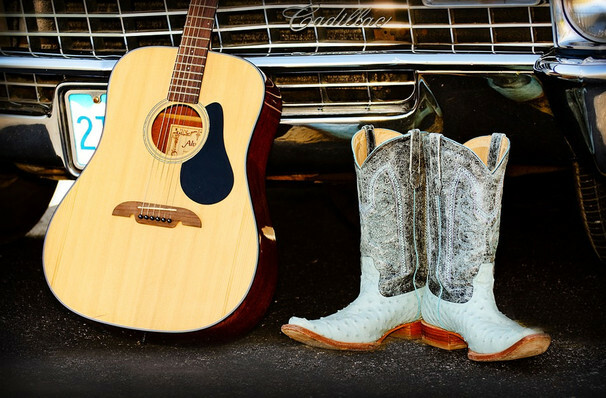 Share this page on social media and let your friends know about Pure Country at Sarofim Hall. Please note: The term Sarofim Hall and/or Pure Country as well as all associated graphics, logos, and/or other trademarks, tradenames or copyrights are the property of the Sarofim Hall and/or Pure Country and are used herein for factual descriptive purposes only. We are in no way associated with or authorized by the Sarofim Hall and/or Pure Country and neither that entity nor any of its affiliates have licensed or endorsed us to sell tickets, goods and or services in conjunction with their events.